Krakow Photomonth Festival has just started, and the programme doesn’t leave space for boredom: discussions, conferences, performance, guided tours, workshops, screenings, multiple locations and artists. This edition’s theme is Space of flows: Framing an unseen reality, and the whole event lasts till June 24th. A parallel festival, Krakow Photo Fringe 2018, takes place on May 25th till June 24th. Well-known artists and amateurs gather to create a multidimensional picture of today’s photography. In addition to photo exhibitions there will be workshops, debates, and side activities. Let’s Fringe! One Artist’s Day is a new series of events hosted by Szpitalna 1. The invited artist is responsible for the whole concept of the meeting, including space arrangement, music, and even the menu! The first artist invited to create his own visual space is Rafał Gawlik, a painter, and his Day falls on May 28th at 19:00. The 58th edition of Krakow Film Festival started on Sunday and will last till June 3rd. Around 250 films, four competitions, and 12 non-competing sections with side events, workshops, and meetings with directors. Krakow will celebrate the 11th edition of its Film Music Festival on May 29th – June 5th. The event, in addition to is high quality musical interpretations, works also as a starting platform for young composers through the Audiovisual Forum section of master classes, and Young Talent Award, international competitions. Another interesting section is alterFMF that explores other categories of music such as video games music, animation, and TV soundtracks. The youngest audience is also being taken into consideration with a dedicated section FMF4kids. On May, 30th at 18:00 in Spółdzielnia Ogniwo there will be US Politics Catch-Up hosted by Adam Schorin, a meeting dedicated for Americans living abroad and people of all nationalities interested in the topic. The programme is to review recent political events, discuss them, and watch clips from American news. The opening of Park Krakowski will take place on June 2nd. After the revitalization of the park, which has recently been named after musician Marek Grechuta, the city president Jacek Majchrowski will inaugurate the celebration of its reopening. Afterwards, there will be two orchestras performing, activities for children and a regular picnic for everybody in newly designed natural chill spaces. Socrates Café is an open, well designed, and inclusive discussion for everyone. The topic is chosen by vote at the beginning of the discussion from proposals made by participants. It lasts two hours with one 10-minute break. The English edition takes place every two week in Literacka café. The next one is on May 28th at 18:30. Entrepreneur Club meetings are a new initiative created by #omgkrk to share knowledge, network, and party! May 30th on Szpitalna 1 is going to be Creative Innovators Night. Centrum Kultury Podgórza organizes a family picnic on June 2nd on the Bagry’s lakeside. Among planned activities there will be children’s stage performances, sport tournaments, concerts, an “Explosion of colors” with traditional Indian Holi powders, Need For Strings band playing rock covers, a concert by the group Manchester, and a lot of activities for children such as face painting, VR googles, and robotic workshop. Starts at 14:00. 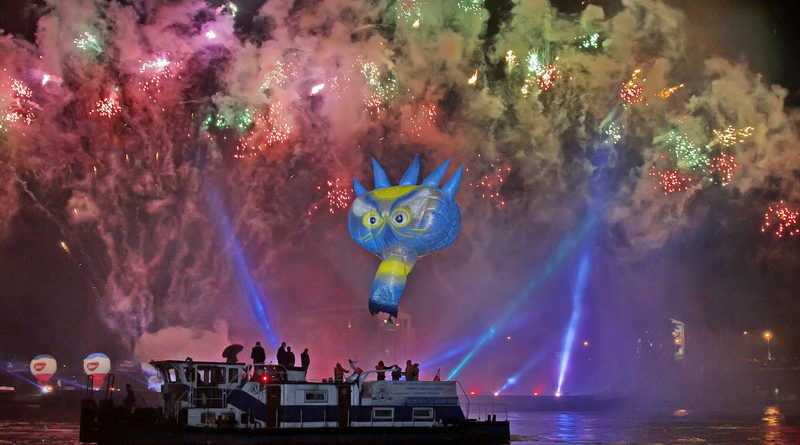 Later that day, starting at 19:00, you can see one of Krakow’s most memorable and original spectacles – the Great Dragon Parade, in which huge inflatable (or are they?) 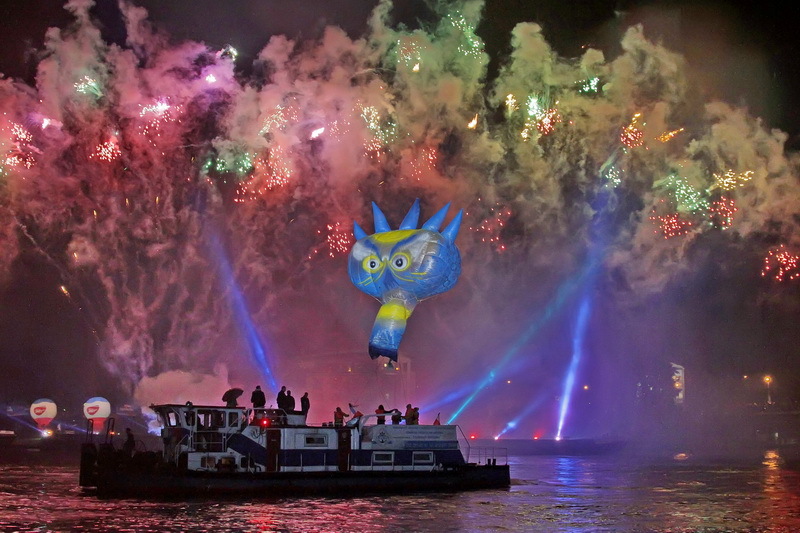 dragons light up the Wisła accompanied by fireworks and music. Sure to draw a huge crowd, so get there early for a good spot! The Garden Feast Festival brings together nature and art. The Botanical Garden of the Jagiellonian University, “Malwa” Contemporary Music Club, and “Ogrody Sztuki” Association cooperate every year with cultural institutions, cultural centers, museums, and gardener’s associations in order to organize events related with Krakow’s green spaces. The festival started on May 25th and will last till June 17th.